Clashes in the Dominican Republic over blue marlin could have far-reaching ramifications. Think twice before handing over your catch. It might cost us all. The blue marlin bite in the Dominican Republic has been red hot the past few years, with more U.S.-flagged boats spending the winters there to take advantage of this fishery. The spring white marlin fishing in the DR has been well known for years, but the winter blue marlin encounters constitute a fairly recent development. 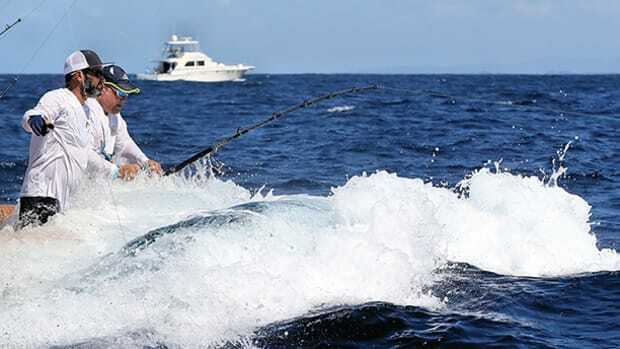 Boats fishing out of Punta Cana on the east end and Puerto Plata to the north have experienced many days with double-digit bites, and new single-day release records have fallen repeatedly. 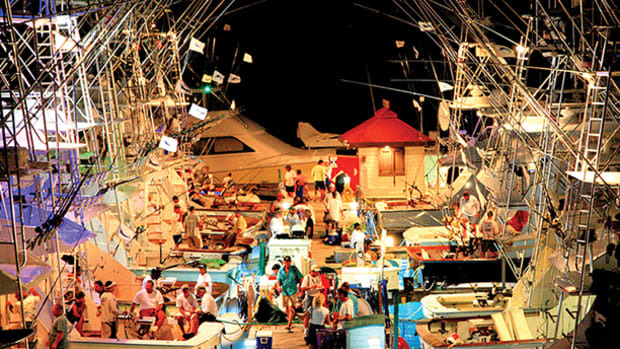 This has proven to be arguably the best Atlantic blue marlin fishery in the world in recent years. 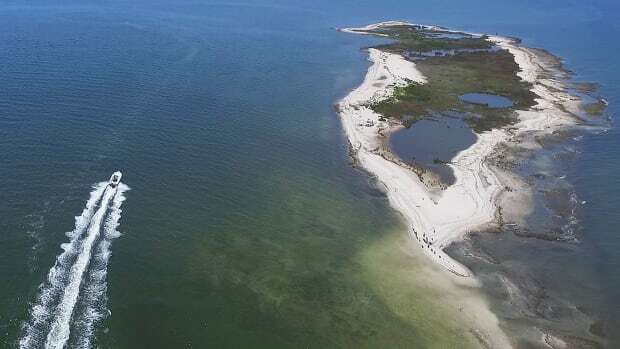 Many of these bites came while boats fished around fish aggregating devices (FADS) placed offshore by local captains for commercial fishing purposes. These FADS tend to be of simple construction, often made up of palm fronds and foam blocks, or whatever is handy and will float beneath the surface. But while the FADS may be simple, they are quite effective at their main mission: attracting bait. 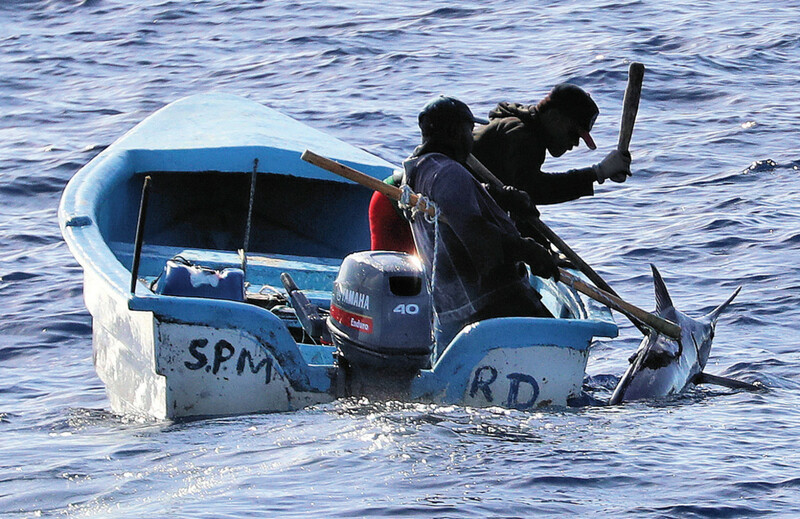 The local panga fleet uses the FADS to target dolphin and jacks—prime food staples in temperate waters worldwide. Savvy skippers quickly learned that blue marlin hang around the FADS as well, and in surprising numbers. These skippers began making passes close to the FADS while trolling, with the aforementioned impressive results. But the proximity of the large American sportfishers to the Dominican artisanal fleet created conflict. The artisanal fishermen believed that any fish hanging around the FADS rightly belonged to them, since they had put the FADS out there in the first place. 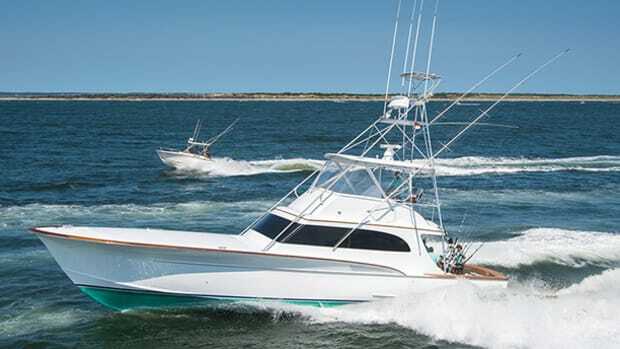 So, when a U.S. boat would hook a blue, the pangas began moving in to gaff the marlin for themselves as the U.S. crew brought the fish close to the boat, sometimes within a few feet of the larger boat’s transom. Crossing lines with locals fishing for food can get dangerous. 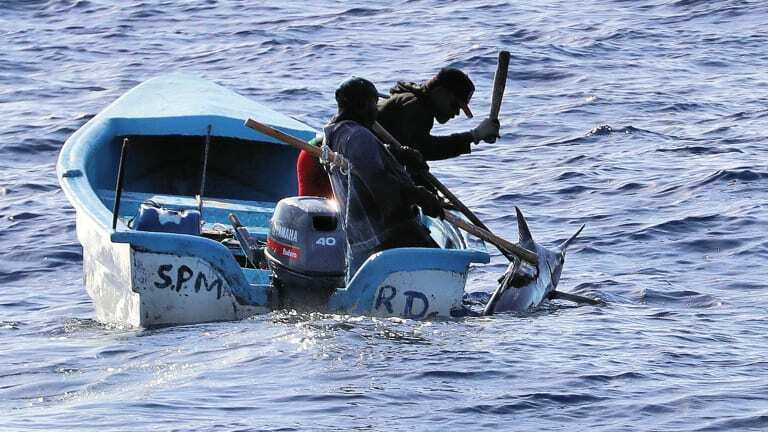 This led to some ugly confrontations and potentially dangerous boat-handling scenarios as the U.S. skippers tried to get the release while the locals attempted to harvest the marlin right off the end of their lines. Meetings among the interested parties were soon organized to find a solution to this growing problem. 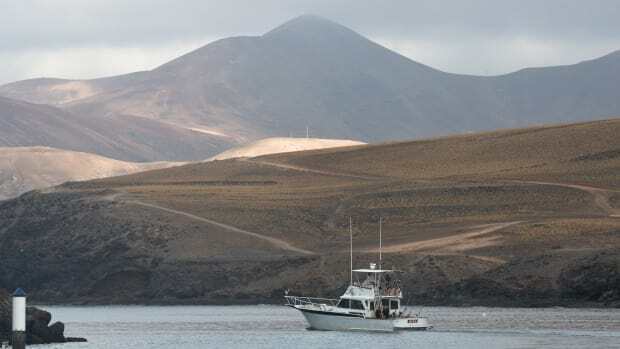 Boat owners and influential members of the Dominican fishing community devised a plan wherein the U.S. boats would contribute money to a fund that would be distributed among the artisanal fleet, with the goal of alleviating the clashes. The local fishermen would be paid to let the U.S. fleet fish for blues around their FADS. This plan worked to some degree, but not all of the boats on either side bought into the agreement, so some conflict persisted. To help ease the tension, some U.S. boats negotiated on-the-water settlements wherein they would simply give the fish to the artisanal boats after they caught it. By doing so, the conflict was resolved, but the marlin died instead of being released, creating a glaring conservation issue that goes against the worldwide practice of catch-and-release. In addition, it also raised potential issues in terms of legality and federal quotas. No matter where we fish, U.S. boats are bound by an annual recreational quota of 250 Atlantic marlin, blue and white combined. 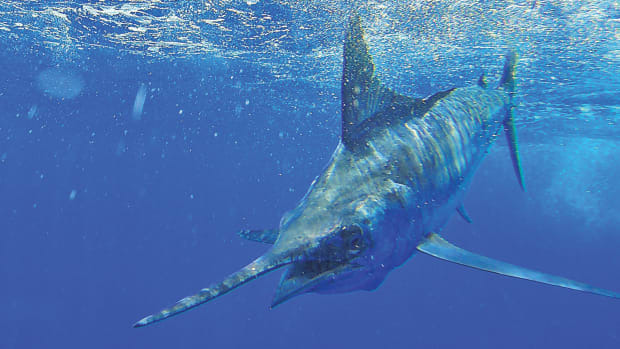 Since 2007, all non-tournament recreational anglers have been required to report all billfish and swordfish harvested (killed and brought to shore) within 24 hours of the catch, and tournaments must report all billfish landings as well. 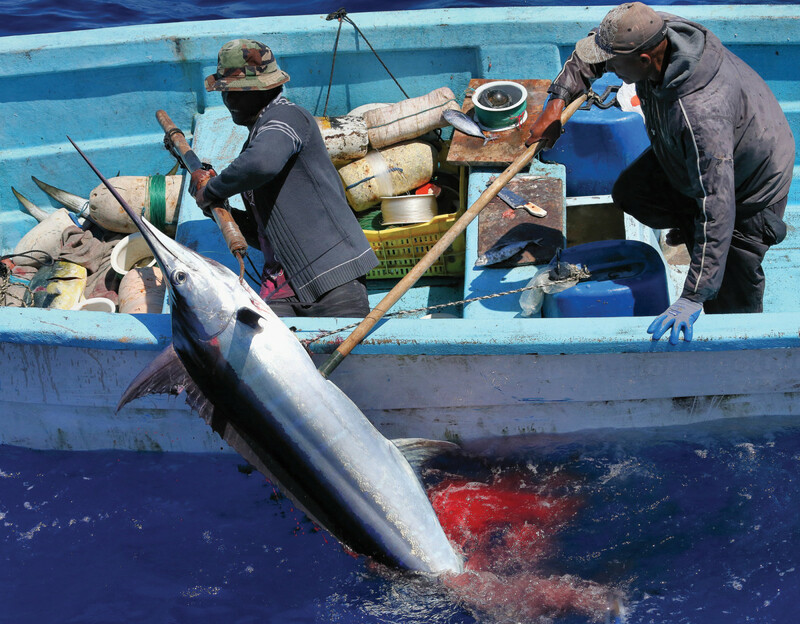 If the National Marine Fisheries Service determines that we have collectively killed more than 250 fish, it automatically shuts the entire fishery down for the remainder of the year, making it illegal for Americans to harvest an Atlantic marlin anywhere in the world. 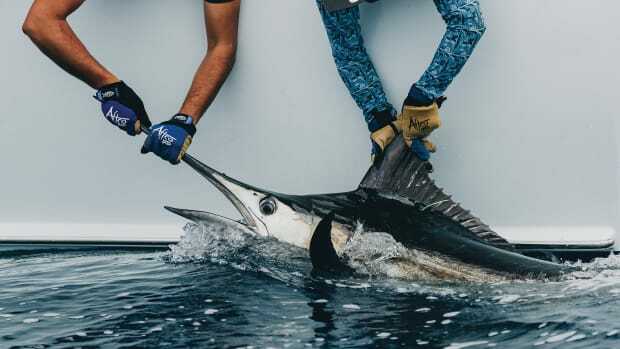 Several U.S. captains fishing the DR have posted about giving their marlin to the artisanal fleet on social media, and some observers worry that sharp-eyed NMFS personnel might take notice and count these dead fish toward the 250-fish tally. If this new number of dead blues pushes us over the limit, it could potentially shut down big-dollar tournaments here at home. It sounds like a little common sense might help alleviate a tense situation, and save the lives of a few blue marlin in the process. 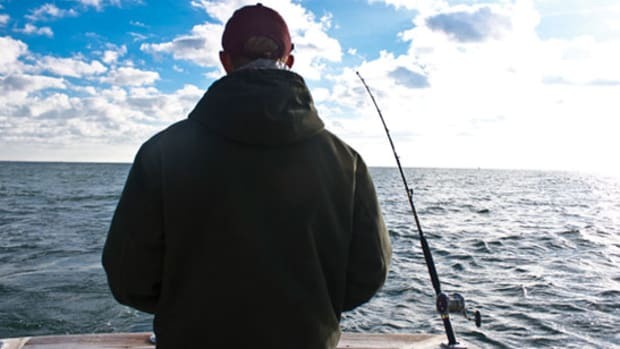 Become a better saltwater fisherman. 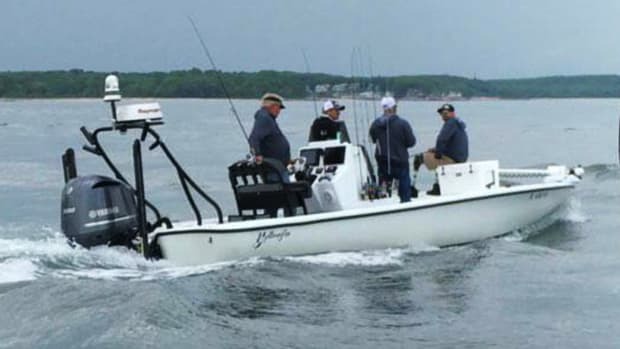 Check out the Boaters University course, Anglers Bootcamp: The Basics of Saltwater Fishing. A comprehensive overview of the basic components necessary to become successful as a saltwater angler.